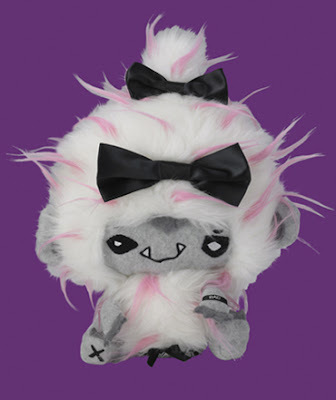 Bugs and Plush will be represented at our booth with a full array of their awesome vinyl toys. Rampage Toys will have a full glass case at our booth, featuring Tenacious Toys Exclusive colorways of the Ugly Unicorn, Manotaur and Dinosaur sofubi sculpts, plus customs based on those platforms from Jon Malmstedt and a variety of artists, plus more custom by Jon on assorted sofubi platforms. This list is not complete! Many more features will be added to this list over the upcoming week! This list is by no means complete: many more items will be added throughout the week. This signing schedule will be updated with additional signings this week. This list is not yet complete. Triplikid is Open for Business! The Original!! Cast resin collectible by Tripilikd in the original concept colors. 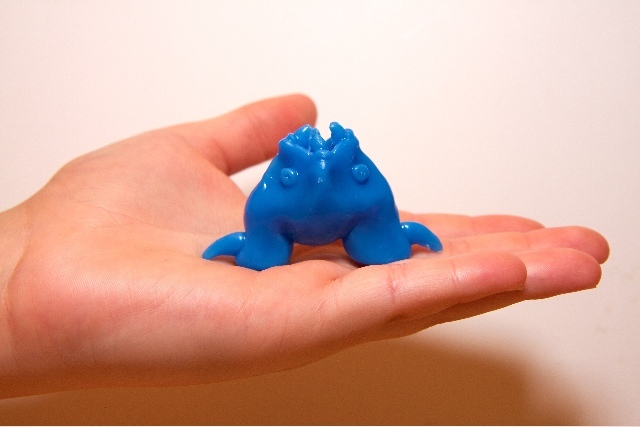 Groper stands 3.5 inches tall. He is custom painted by hand, so there may be small variations from piece to piece. Item is on Pre-Order until October 5th. It should arrive in-store by Mid November and will be shipped promptly thereafter. Ok, now let's talk. I tend toward parsimony when it comes to praise. I have encouragement and free advice for days but it takes something exceptional to warrant actual praise so here it is: This figure looks exceptional. I would put this on my desk. In fact, I will put this on my desk. What makes this figure exceptional? Concept: Characterful yet simple. A little bit of Critters with a strong cartoon silhouette. Sculpt: Hair is one of the hardest textures to sculpt and it looks awesome. Size: 3.5 inches (89 mm for metric folks). That's a nice chunk of resin. Not so large that it is unwieldy but not so small that you don't feel like you're getting your money's worth. 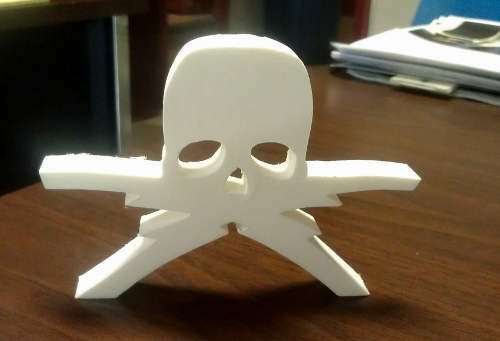 Engineering: It may not look it but the figure is actually 5 pieces (pic below). What this means from a tech standpoint is that each of the small parts (hands, "dentures") can be cast in a way that makes them much less prone to miscasts and flaws. Triplikid is definitely adding to the "design space" of resin toys so I can't wait to get my hands on one of these and see what is up next! Vamplet Giveaway!! 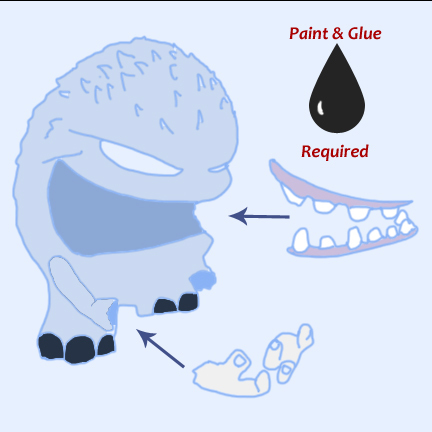 Win the Abominable Snowbaby! 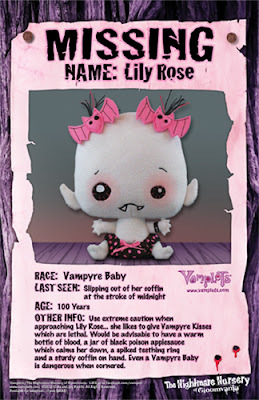 If you didn't win the random Zombieling giveaway, worry not, for there is a Vamplet has a new giveaway already in progress!. 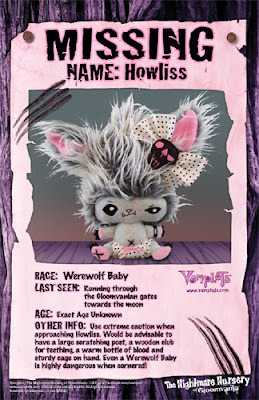 You could win the Abominable Snowbaby Roari Snow by visiting our Facebook page at www.facebook.com/vamplet, Simply "LIKE" the Facebook page and you might be chosen as the unlucky mortal to take her home. Roari has been destroying the nursery with her frightful strength, and we'd much rather her destroy YOUR human home instead. Are you prepared? Contest ends in 48 hours… and starts NOW! The New York Comic-Con is October 11-14, and all their rotten-to-the-core babies from the Nightmare Nursery will be there!. If you're brave enough to visit our booth, we’ll reward you with a free limited edition MISSING poster (while they last). Signing date & time TBA but rest assured you can meet the boy wonder Jacob JAMS at his signing at our booth! 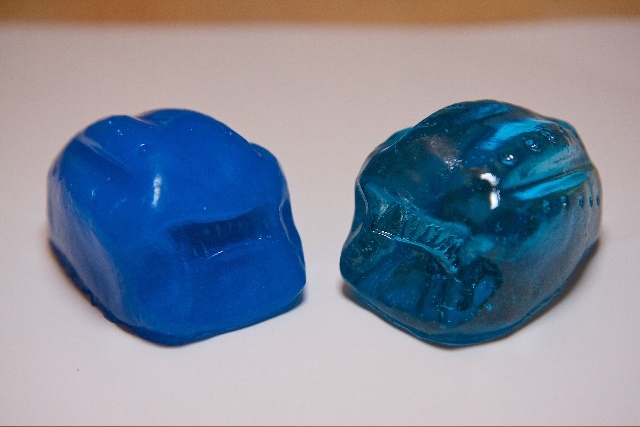 The 11-year-old has created several resin pieces in Exclusive Tenacious Blue! All of those guys bought into the booth, meaning they all have a permanent piece of the booth. 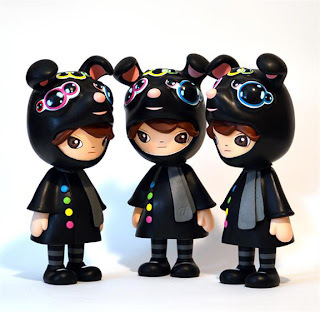 Each of them have their own agenda, releases, customs, resin figures and artwork. This blog post will be updated over the next week with details about each artist's events, and I'll also be posting more blog posts covering signings at the Tenacious Toys section of the booth, our exclusives and the various collaborations we have arranged. Stay tuned! There is a lot to share. 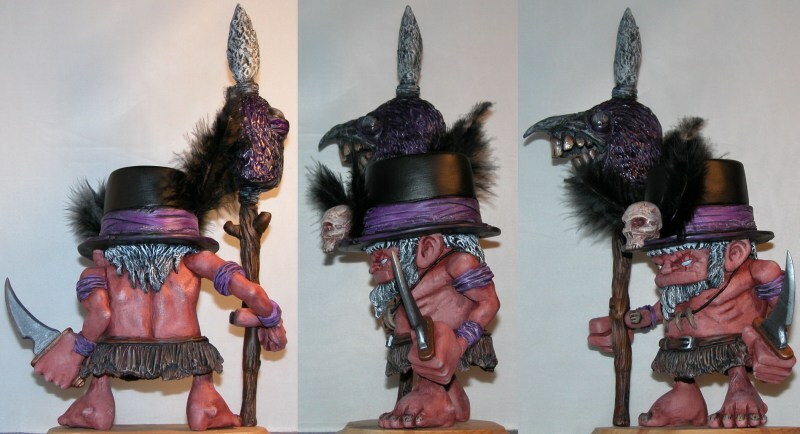 Matt Anderson will be displaying and selling customs and resin figures. 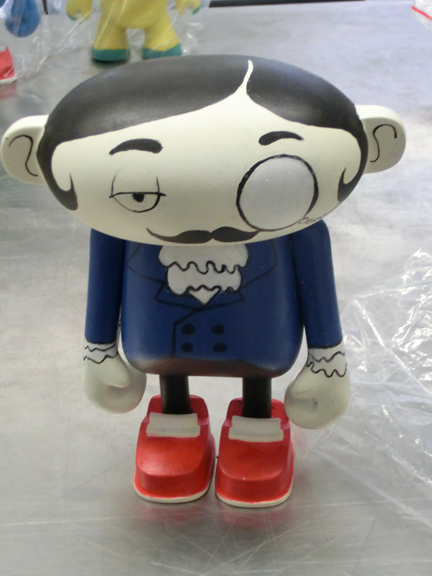 His Night Terror artist series will be at the booth, featuring the custom work of many talented customizers. 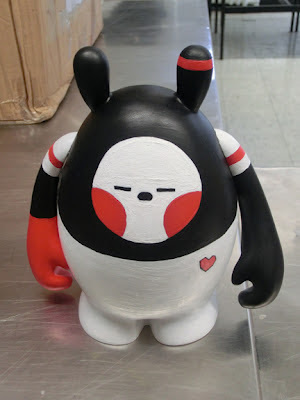 Rsin will have custom work available at the booth, plus a lot of other things happening- his very own Dunny will be released at the Kidrobot booth at some point during the Con, so you'll be able to get your seigned either there, or back at our booth. 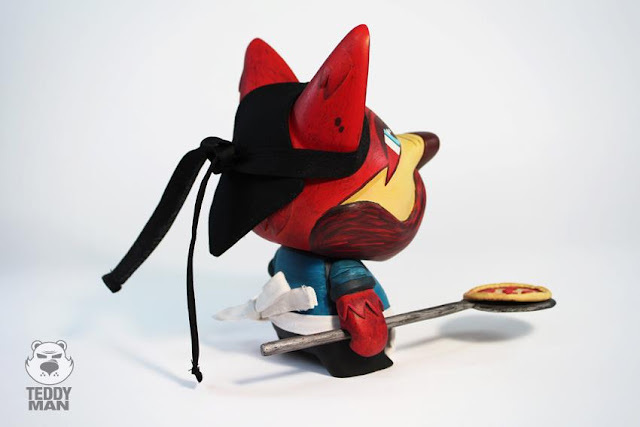 Mr. Munk has been going BEAST in his studio the past month or so, painting up the biggest variety of custom he's ever displayed anywhere. All will be for sale. Kris Dulfer will be displaying & selling a wide variety of customs and resin figures alonside his buddy Brendan McGuiness, another budding customizer. Look for more collabs at his part of the booth with our friend Cash Cannon and others. Ian Ziobrowski will be selling his customs from the Nugglife universe, as well as prints, alongside his brother Eric. Bad Applez Inc will be rolling up with a huge variety of prints, resins and custom pieces by NEMO and Osiris individually, plus several Bad Applez Inc collaborative projects. 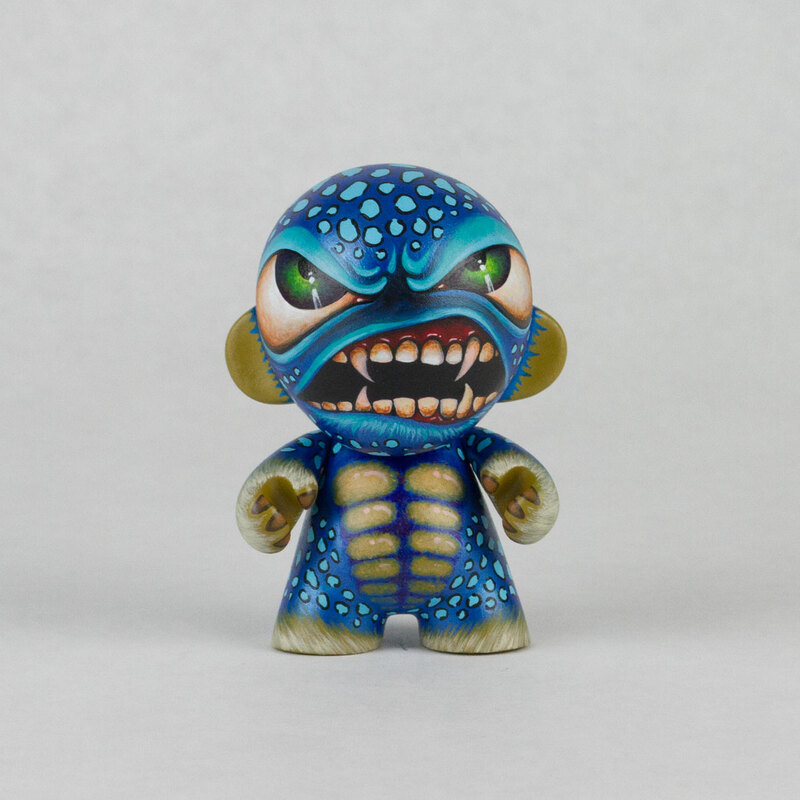 Tenacious Toys will be selling: Exclusives like the Uncle Argh Noir and JPK Pandaimyo Blue Mini Qees; customs and resin figures by a huge variety of artists and companies; prints; our Resin is King Series 2 blind box figures if there are any left; Jason Freeny's Gummi figures; VISEone's Tube Monsters; new vinyls from Bugs & Plush; and lots more. I'll cover all that type of stuff in subsequent blog posts. "TLS is excited to unveil our first release with the Transformers property! Our t-shirt character designs are based from our upcoming blind box 3" mini series scheduled to release before Christmas 21012. 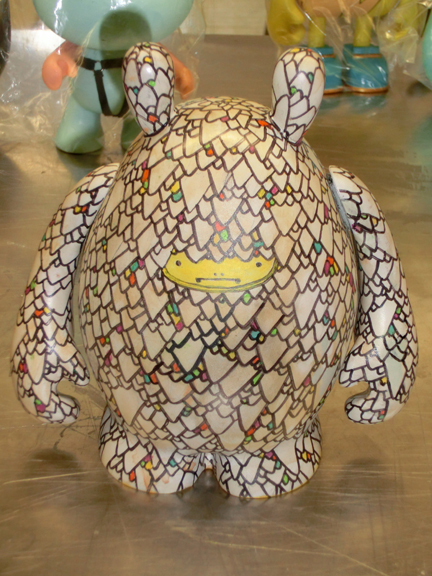 The characters were designed by the very talented Les Schettkoe. 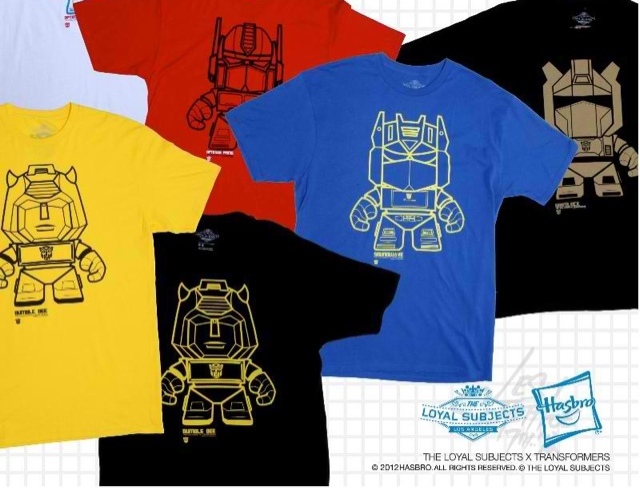 The character tees include different color tees featuring OPTIMUS PRIME, MEGATRON, STARSCREAM, BUMBLEBEE, SOUNDWAVE, THUNDER CRACKER, GRIMLOCK and JAZZ! " Each tee is a 100% ringspun, fitted shirt. Great feel, great print and some great characters! $25 and we can get all! Email me with your style and size and I'll place a custom order. They're $25 each. 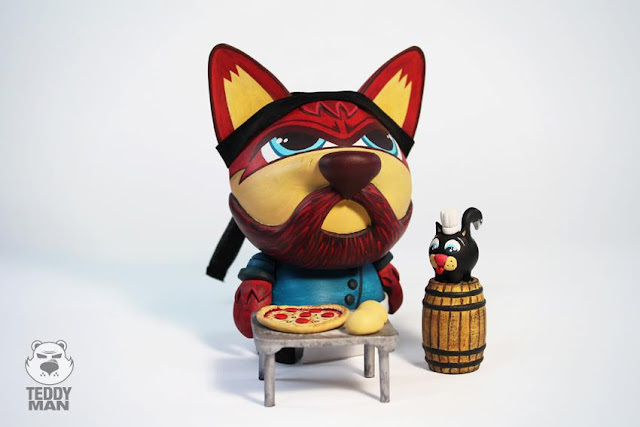 Dudebox (a new UK based vinyl toy producer) and Parsons New School for Design (probably best known from Project Runway) have teamed up to display concepts by Parsons BFA Illustration students at this years New York Comic-con. Students created dozens of concepts both by hand and digitally and those have been narrowed down to four. One lucky winner will be announced at a press event at the Dudebox booth (#2915) on October 11 at 6:30pm. In addition to a cash prize, the winner will also see their design be produced by Dudebox in an upcoming series. Hit the jump for the four finalists pieces. The 2nd Annual Designer Toy Award's Ceremony is coming up this October 13th in New York city (during the New York Comic-Con). To lead up to the event, they will be releasing details about some special and exclusive releases. 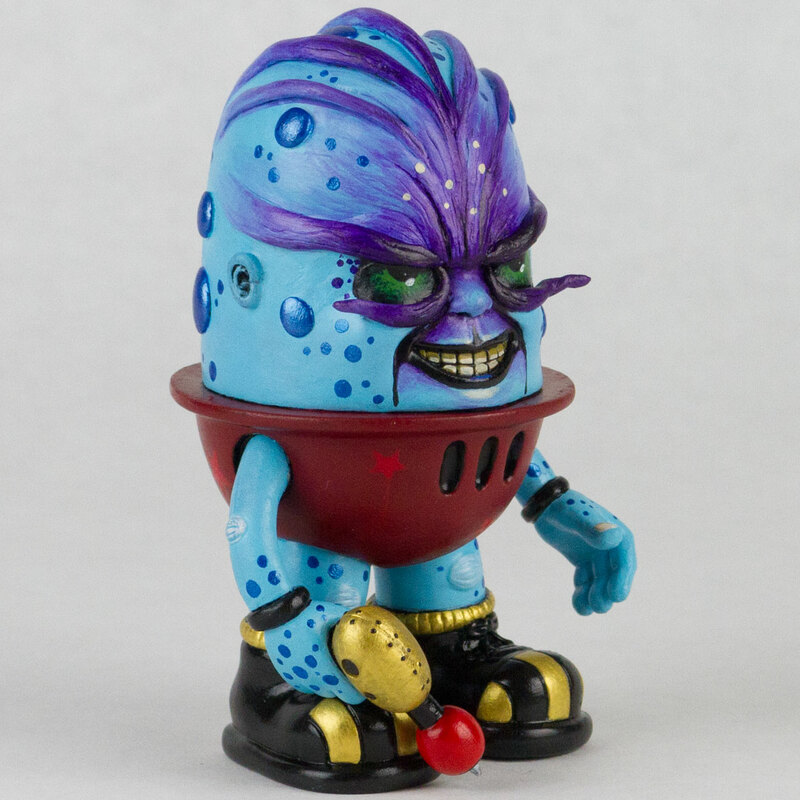 The first announcement comes today with the debut Norht American release of the "Night Dreamer Benny" figure. It will be limited to 28 signed and numbered copies. Each one hand-customized by Okedoki and packed in a laser-etched bamboo box. Only three copies of this release will be available during the ceremony for $350 each. 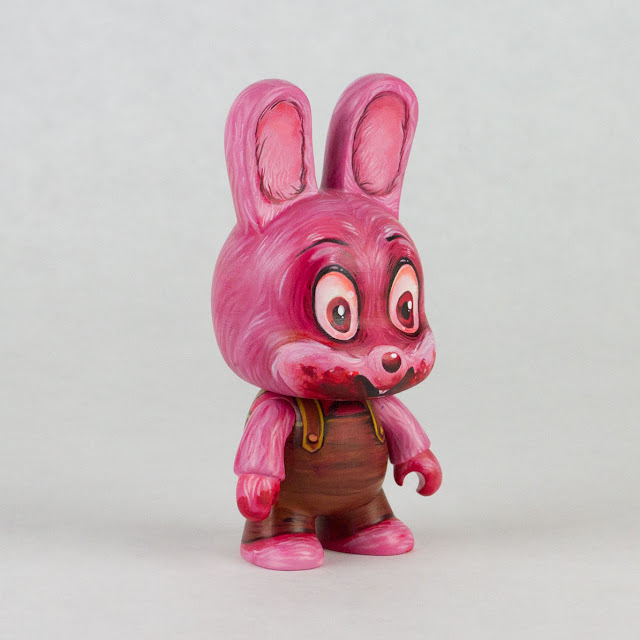 Tenacious Toys in conjunction with Dead Hand Toys announces Resin is King Series 2: a blind-boxed resin mini figure series featuring the sculptural resin work of 16 artists! 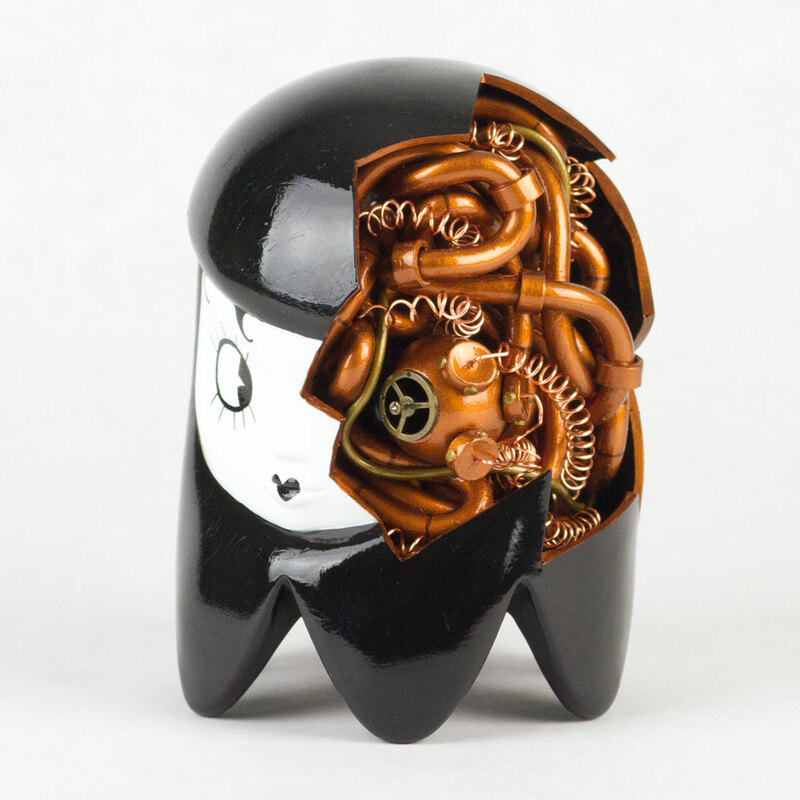 Each artist was asked to develop a new sub-3" resin sculpt and submit 10 pieces to the series using that sculpt. With 160 pieces in Series 2, this promises to be a much bigger release than Series 1. We even worked with our good friend Lisa at Kidrobot: the KRNY store will host the Resin is King Series 2 release party on October 4th from 6-8pm! Many of the artists will be there in person to sign their pieces, and there will be exclusive and highly-limited prints by some of the artists available for purchase. 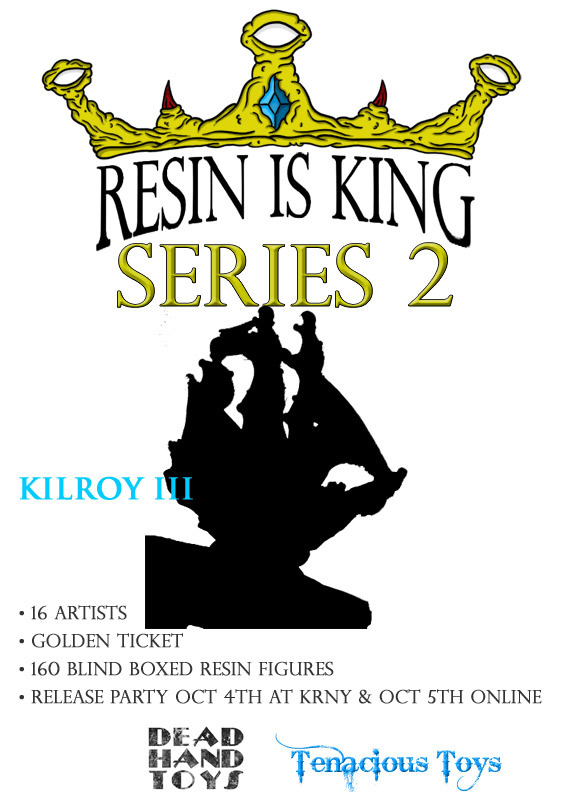 Blind boxes and full, sealed 16-pieces cases/sets of the RIKS2 BBs will also be available, and we'll be hiding a Golden Ticket in one of those blind boxes that will get the lucky winner a sweet prize from Argonaut Resins! 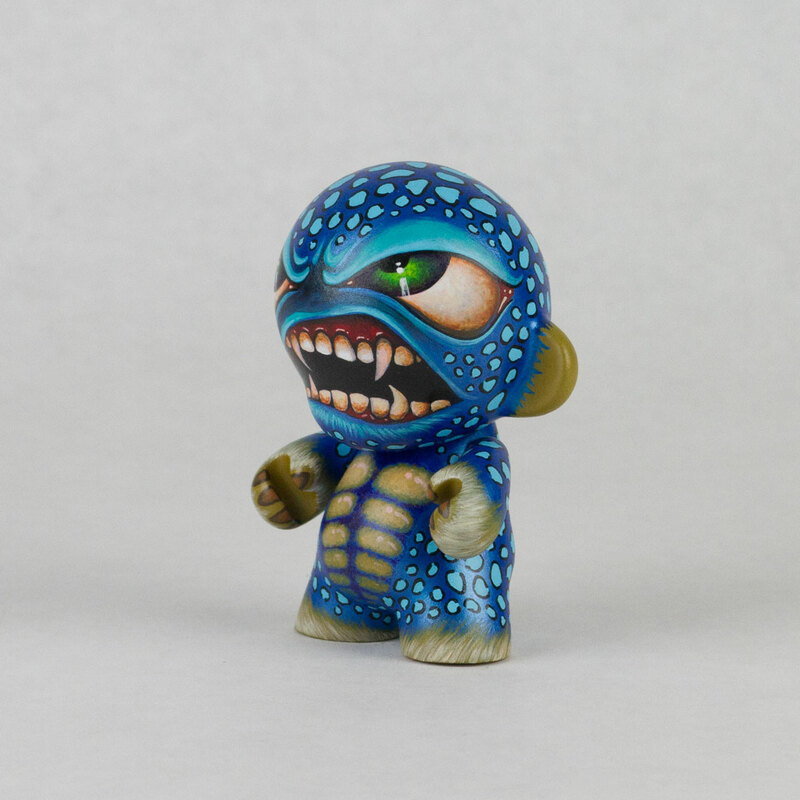 On October 5th, any leftover Resin is King Series 2 blind boxes will be put up for sale online at TenaciousToys.com. WHAT IS RESIN IS KING? 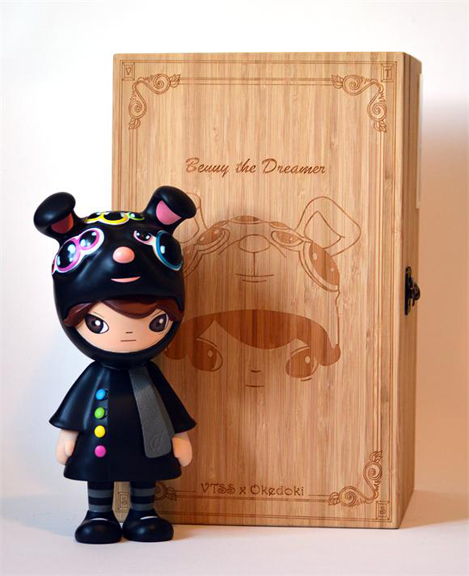 The idea for the Resin is King blind box series was born out of an interest in artisanal resin collectibles. 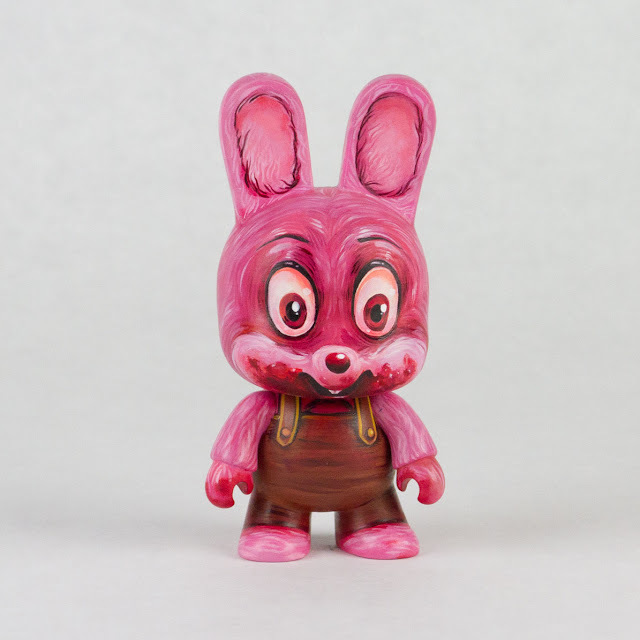 Brian Ahlbeck (Dead Hand Toys) and I decided last year that we wanted to shine a light on the top-level craftsmanship and creativity of resin figures and the artists that make them. 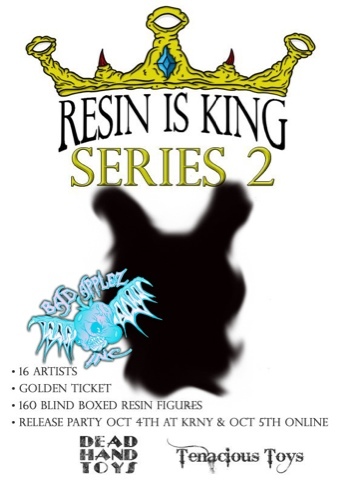 We made a few phone calls and Resin is King Series 1 was born. 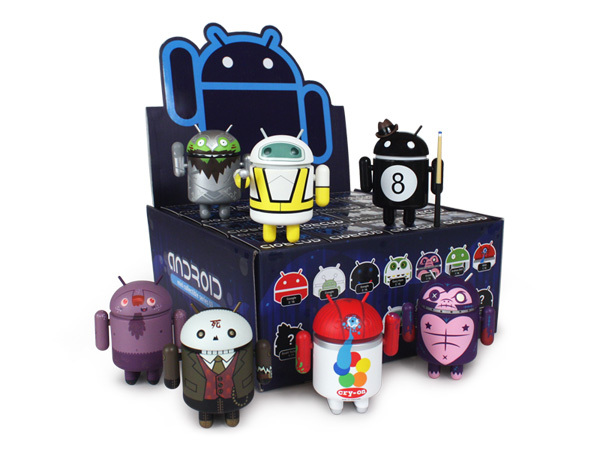 Now for Series 2, we've expanded to reflect the wide variety of resin figures being produced day in and day out. We're always really excited as we prepare for these releases because every single WIP shot that rolls in is a brand-new sculpt! 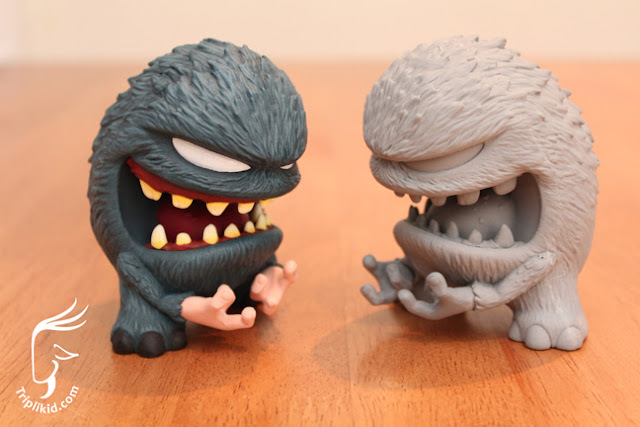 We hope you dig these resin figures as much as we do. Here is a WIP of the Resin Skull piece and the Headerboard art for the bag that it will be coming in. 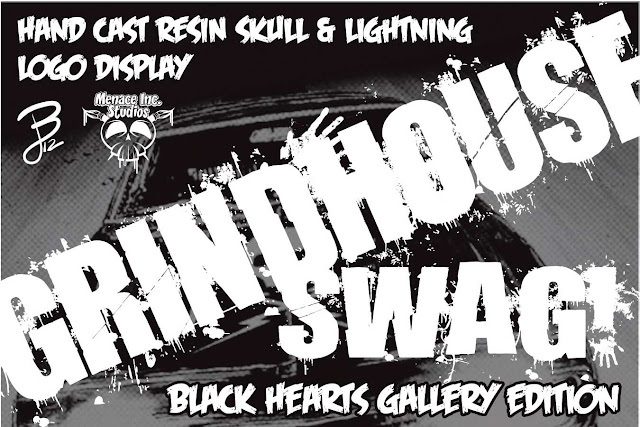 It is for the "Royale with Cheese" Grindhouse show on September 26th in Lexington NC. This will be limited to 10 pieces. 5 will be painted with a black splatter and heart design and the other 5 will have a red (Blood) splatter design with a black heart design. 15.00 each bagged and boarded. The pieces are hand cast resin 3.5" Tall 5" wide and 1/2" deep and can be displayed standing up. 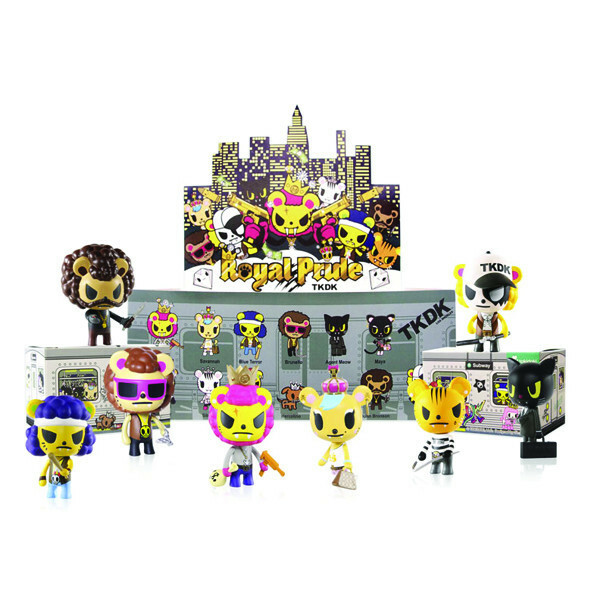 Furry Feline Creatives NYCC Exclusive @ TT Booth 3121! 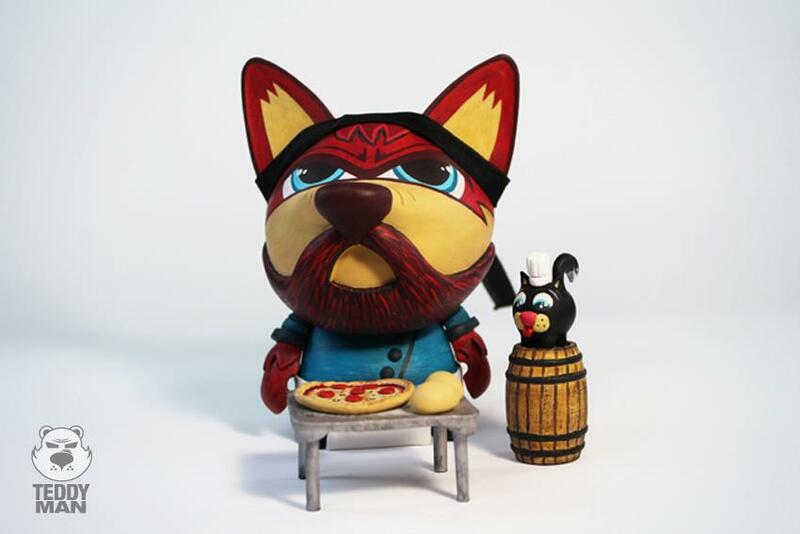 ​Furry Feline Creatives will be releasing a very limited edition "Black Candycat" for New York Comic Con. There will be only 10 made! 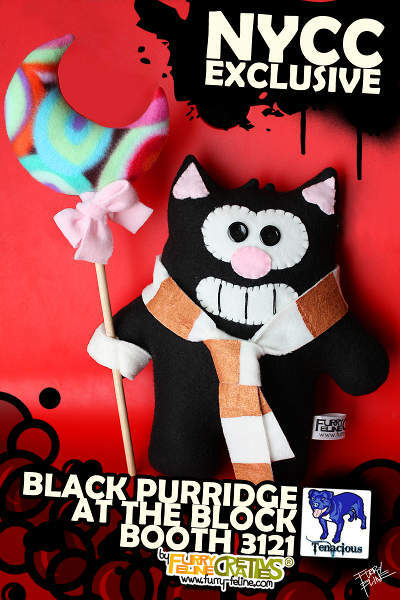 "Black Candycat" measures 12" x12" Purridge, as a black cat with a crescent lollipop, has a perfect costume for halloween - a black cat!. The lollipop stick is removable and can be easily pulled out and used to poke someone. 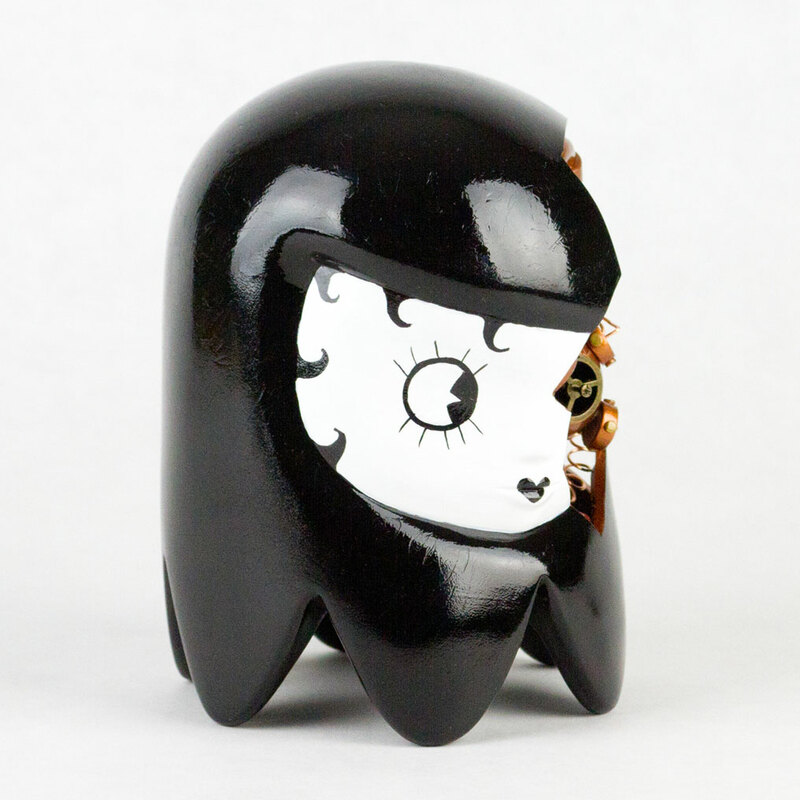 It will be available at Booth 3121 with Tenacious Toys at NYCC's The Block. A Ghost Girl (5 inch) sculpted and painted by DeeTen and displayed at the Vinyl Thoughts Art Show 3. You can grab it here. 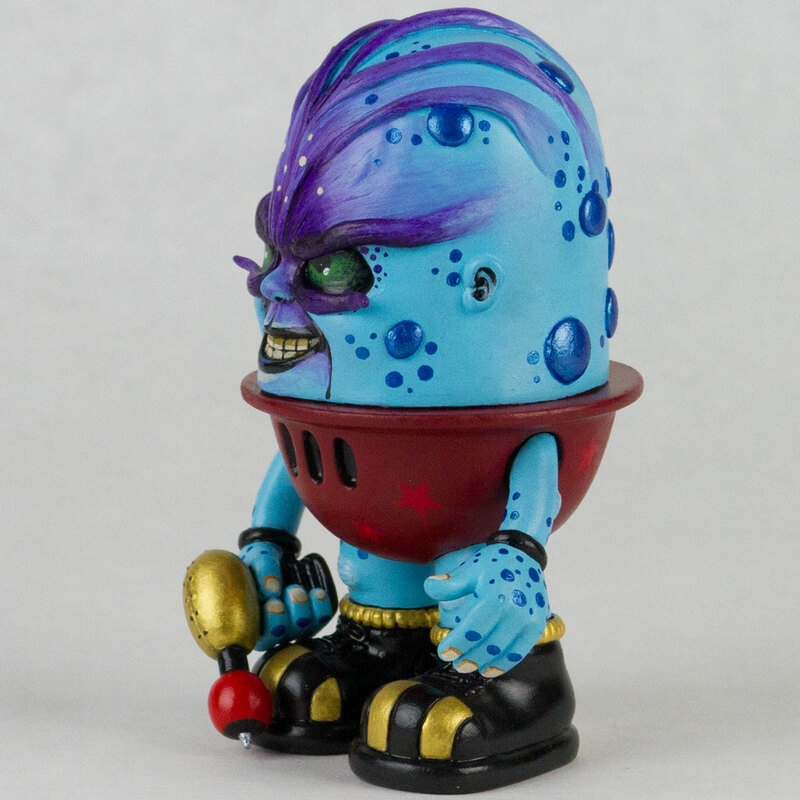 A Mini Qee (5 inch) custom based on the Resident Evil character painted by Magen Mitchell of Paper Wasp and displayed at the Vinyl Thoughts Art Show 3. You can grab this custom here. 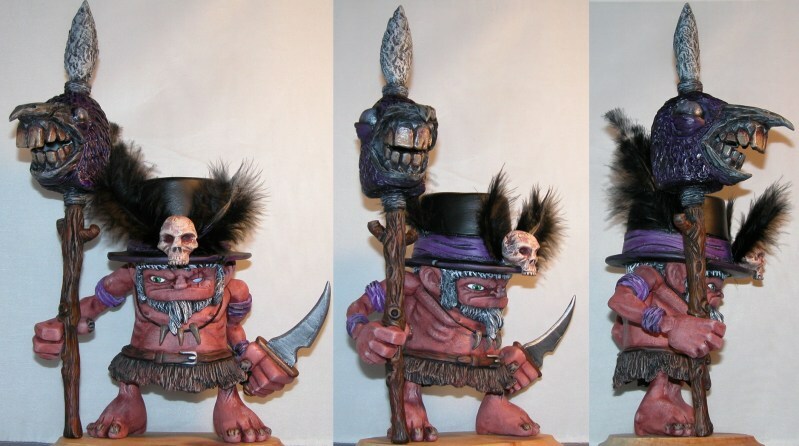 A Luey (5 inch) custom painted and sculpted by Color Chemist. Another fantastic piece from Color Chemist, that is up for sale. Look at this awesome painted Mini Munny from Color Chemist. It was made for the Vinyl Thought 3 show and you can buy it here now! A stunning custom Horselington by artist TIBONG. Excellent painted and sculpted piece! Hello my name is Donato and I am a Chef de Partie of a pizza restaurant. I work with my brother Stefano and we are always improving and creating new recipes. Next to me is Pepper my chef cat. Let the orders come!